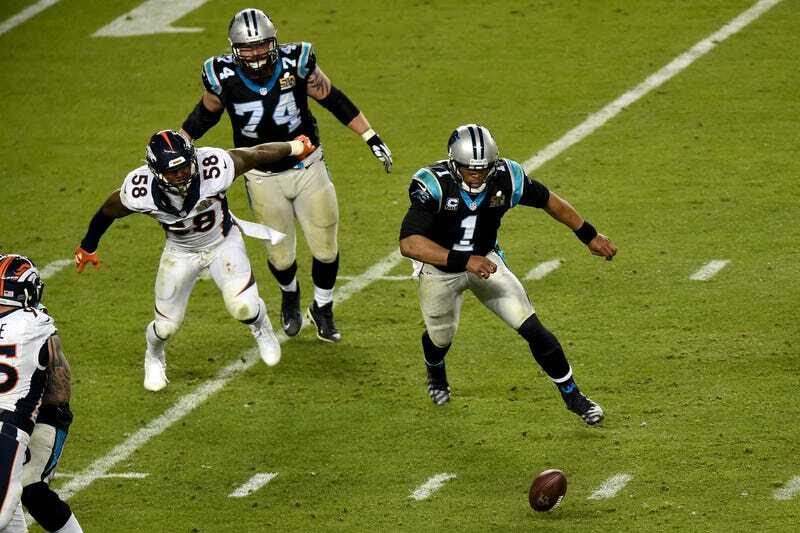 Von Miller’s second strip-sack of Cam Newton, which led to a touchdown that put the game away, will probably end up being the only long-memorable play from this Super Bowl. Not just because it was a crucial swing, but because it’ll forever be open to interpretation. What was Cam thinking? When asked about it in his postgame press conference, Newton offered, “I don’t know.” That may have just been part of his larger taciturn interview, but he also may genuinely not know. Whatever decision he made—and “decision” might be a loaded term—happened in milliseconds, at the level of instinct. But it comes down to whether he begged off, or thought his better chance of getting the football was in not diving. This much is sure: it looks a lot worse in slow motion than it does at regular speed. This is one of those things that’s dangerous to ascribe conscious thought to when it occurred on the scale of individual synapses, and high-speed cameras don’t provide the most accurate recounting.